The gap has widened to 12 percentage points, up from 7 in July — and it is largely because of voters in the Midwest. They have swung 13 points in Democrats' direction since July. 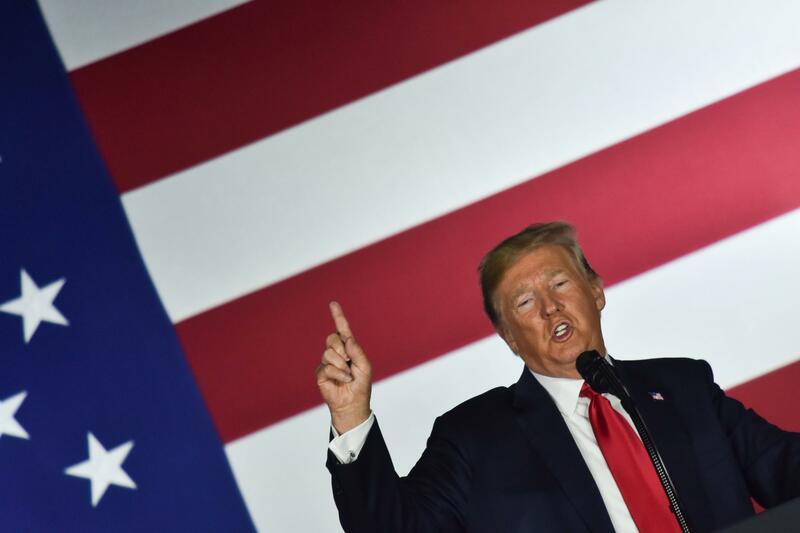 That Midwestern shift is consistent with what Marist has found in statewide polls conducted for NBC in Michigan, Wisconsin and Minnesota that showed President Trump's support there starting to erode. Overall in the poll, half of voters (50 percent) said they are more likely to vote for the Democrat in their congressional district over the Republican (38 percent). In July, the Democratic edge was 47 percent to 40 percent. It's the largest gap on this question, known as the congressional ballot, since December 2017 when Marist showed Democrats with a 13-point advantage. The lead is also similar to Democrats' advantage on the question in 2006, the last time they took back the House. Trump's approval rating is below 40 percent in the poll. Just 39 percent said they approve of the job the president is doing. The rating is unchanged from the last Marist poll in July. But it's the third poll this week to show Trump below 40 percent amid the release of an explosive new book from journalist Bob Woodward detailing chaos in the Trump White House and an op-ed in The New York Times from what the paper describes as a senior official who writes that there is a "resistance" within the Trump administration to save the country from the president. The president's approval rating in the suburbs is just 34 percent. And in those same suburbs, Democrats enjoy a whopping advantage (56 percent to 34 percent) over Republicans on whom Americans are more likely to vote for. That is particularly problematic for Republicans, because many of the key races for control of the House run through the suburbs. There is also a massive gender gap. Men approve of the job Trump is doing, a 50 percent to 42 percent margin. But women, who are fueling Democratic hopes in these midterm elections, disapprove of his job, 62 percent to 28 percent. The NPR/Marist poll was conducted Sept. 5 through Sunday. It surveyed 777 registered voters and has a margin of error of 4 percentage points. Slightly earlier polls that meet NPR's polling standards — from Gallup, YouGov (43 percent), Ipsos (42 percent) and Selzer (43 percent) — had Trump at or slightly above 40 percent. Just 33 percent of Americans approved of the job Truman was doing less than a year after the end of World War II. His party wound up losing 55 House and 12 Senate seats. Truman's 12-seat loss in the Senate remains the worst for a president's first midterm since 1862, according to numbers from Vital Statistics on Congress. It's hard to compare to just one president, however. So widening out the lens, there have been plenty of presidents who were below 50 percent before their first midterm. And on average, their parties lost 44 House seats and five Senate seats. Every election, though, has its unique factors. Not every president below 50 percent had as favorable a Senate map as Republicans do. Not every president below 50 percent had structural House district advantages because of redistricting or the fact that the opposition party has holed up in cities. And, arguably, not since the Civil War has the country been as polarized politically as it is today.